Can I say at first that I am a member of the IOC recognised International Society of Olympic Historians, which gives me no privileges. However as I also belong to the Chartered Institute of Journalists I was able to be authorised by the Greater London Authority as a guest writer for the visiting media scheme. A very fine programme of events and briefings was organised. If you were an accredited sports journalist access was given to the splendid press hub open 24 hours in the Queen Elizabeth Olympic Park. Yours truly was only eligible for the general writers’ pass with the Institute of Civil Engineers in Westminster as the media centre . In the 12 months leading up to the games I was able to buy tickets for most of the London Prepares events including the official opening of the Olympic Stadium, a very cold night. 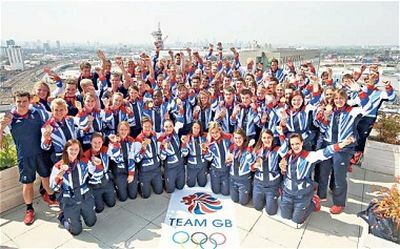 The wonderful opening ceremony was watched at home, just like 27m others around the UK. Those that attended said it was a unique occasion but long and without commentary. Yes it was an experience to attend but much more could be seen on TV. Public transport worked well into the night. Excel is of course familiar to all attendees of World Travel Market, the Boat Show and Business Travel Market. Owned since 2008 by the Abu Dhabi National Exhibitions Company it has been recently expanded to cover nearly 50,000sq m, including a fine conference facility. There are six hotels plus more than 30 bars and restaurants all within a short walking distance. 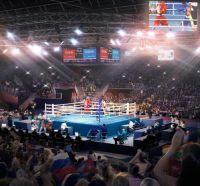 It proved to be an excellent and atmospheric facility for a number of Olympic sports including both table tennis and boxing which I saw in the early rounds, with full houses first thing in the morning. Now with extended three-car units the DLR provided a reliable service from Bank. A one-way system was introduced – Custom House station in and Prince Regent out. If you are going to a future event check which is nearest to your hall. It can be a long walk. Readers would have learnt that it is the custom at the Olympics for national enterprises to set up their own ‘Houses’. I managed three, Slovakia with delightful cooking at the Institute of Directors, Qatar at the IET (Institution of Engineering and Technology) in Savoy Place, and Switzerland. The Qatar exposition could only be described as extravagant with a rooftop terrace specially built (complete with lift for those less fit) overlooking the Thames towards the old County Hall and the London Eye. Within the building was a fine exhibition promoting the gas rich state, and a Harrods catered restaurant, but only open for dining after dark due to Ramadan. Scotland had its own tourist board organised House at the Army and Navy Club. The Swiss House was at Glaziers Hall, close by Borough Market at London Bridge. Here I was charged £9 for two cups of tea. I walked out. A great pity. Getting around London during the games proved to be very easy using public transport. On a personal level the Central Line was found to be quickest from town just a few stops to Stratford National and the QE Park. Jubilee Line users were asked to get off at West Ham, something of a walk. I received rave reports by patrons of the high speed Javelin St Pancras – Kent service to Stratford International. Amongst the many press receptions on offer during the week was a presentation by the Society of London Theatre at the recently re-opened Hippodrome, by Leicester Square. In its intimate cabaret theatre (the main Matcham-designed auditorium is given over as a casino) we saw cameo performances from current and future West End shows and learnt that in 2011 14m were attracted to London for theatre alone. Coming along soon is The Bodyguard and the ‘Spice Girls’ musical Viva Forever. 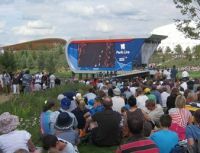 I purchased on-line Queen Elizabeth Olympic Park tickets and was able to spend a day out with the grandchildren watching the BA Park Live display and eating sandwiches. Why this was deemed illegal at Hyde Park is beyond me! Hockey was another sport watched, two matches one in the morning starting at 08:30. It was more or less a full house and finished just before the completion of the Triathlon, seen on the big screen. With a huge crowd finding space to sit down was not easy. Whether the pilots coming into and out of London City Airport were deliberately routed across the park we will never know but what was most apparent is that the Embraer E series is much quieter than the now elderly Avros. The Bombardier Q400 makes even less noise. A pair of tickets was bid for the Beach Volleyball, which turned out to be three matches, both men’s and women’s teams competing. Great fun and plenty of noise. I gather that the Prime Minister had trouble putting his children to bed. Having been to the test event, and coming from Parliament Square, yours truly thought that the best way in was via Great George Street. Wrong. We were routed along Birdcage Walk as far as the Victoria Memorial and back through St James Park to security. It is a long walk. On every occasion security was polite, friendly, quick, thorough and rigorous. Well done the British military for supervising. Perhaps the only disappointment was the 3m diving pairs competition. It is a long way to climb into the wing of the Zaha Hadid-designed Aquatics Centre and the competitors are distant. £50 per seat for just 45 minutes sport. The good news is that the pool spectator area is to be rebuilt to a more manageable size and should prove to be an outstanding success. London was buzzing most of the time during the Olympics. A free BP/Royal Opera House exhibition, in conjunction with The Olympic Museum in Lausanne, provided an interesting telling of the Games through the endeavours of ancient and modern Olympians. On show were gold medals from Athens 1896 until the present (and London 2012 are the biggest) and the Olympic Torches since the first one at Berlin in 1936. No mention was made of the Israeli athletes murdered in the Olympic Village at Munich 1972. The exhibition has now closed. Three other events were managed over an exhausting fortnight. 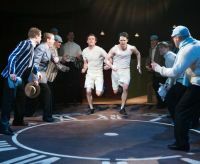 A remarkable Chariots of Fire rendition at the Gielgud Theatre set up in the round with seats actually in the rear of the stage. Sir John, who played the Master of Trinity in the film, would have been proud. The ending had been changed from the original Hampstead production. The athletes wore Team GB shirts for the finale. It brought the house down. VisitEngland sponsored an appearance by the Fan in a Van, Rachel Kershaw, who spent 70 days following the Olympic torches' progress around the country living in an ancient VW camper van. This was at the Tower of London. It was a short walk over Tower Bridge, past the big screen on Potters Field Park to City Hall. In the basement The Times offered a pictorial exhibition of Olympic Games from the past.